It is my pleasure to be teaching your child this year! I look forward to working closely with you and getting to know your child. You are your child's first teacher, and together we can help your child meet the provincial expectations for this year. We will be starting the year by getting to know each other, our individual strengths, interests and needs. The emphasis with students is that effort is more important than ability in achieving success and that a student's "job" is to work hard and try their best. Please encourage your child to discuss what has gone on at school each day. Set aside 40-50 minutes for homework every night. Each week homework will consist of a reading comprehension page, a math word "story" with problems to practice a variety of skills, and a short writing assignment. For this first week we will only have a reading comprehension assignment. For the first few weeks we will be completing homework on paper. As the year progresses, homework will be posted online and students will be able to submit it either electronically or on paper. Homework will be written in their agenda books on Mondays and posted on this blog under "Homework" on the right hand side of the page. Homework will generally be due on Fridays, so that students have the week to complete it. This homework routine is very important. Again, homework will be posted on this blog under the "Homework" sidebar on the right, so you may check here if your child has misplaced his/her agenda. We will be starting the year with a number of "Getting to Know You" activities. In language we will start with letter writing and identifying our goals for the year. Then we will begin an investigation into using technology appropriately in supporting us achieve the curriculum expectations. In math, we will begin the year by investigating number patterns, some basic algebra and integers, doing "number talks", and memorizing our basic facts! This year, the Grade 6's will be using a few websites to help facilitate learning. We will be using Google Apps, Mathletics, Hapara and a number of other applications to demonstrate our learning. The access for these sites are through your child's google account (email and password) provided by the school board. A form for the Acceptable Use of Technology is being sent home the first day of school, so please sign and return it as soon as possible. If your child has a chromebook, laptop or tablet, and you are comfortable with him/her bringing it to school, then I would highly encourage students to bring them. Students may use technology to complete many of their assignments in class. For now, please follow our class Twitter account at @JodieOHalloran. There will be many tweets to update everyone on our learning journey. As well, note the website for updates and weekly homework (https://msjodieohalloran.weebly.com/​). Grad retake pictures are Wednesday, March 27, 2019! ​An exciting event coming up is the sale of our Grade 6 T-shirts. This is a nice keepsake for students who are leaving from grade 6 and moving on to middle school. Students will have a chance to try on a few sample shirts to determine a size that fits well. We will have them write their size down in their agendas if possible to make ordering easier. T-shirts will be available for order through School Cash Online. The cost for the t-shirt is $15. Taxes are included. The deadline for ordering will be March 22, 2019. There can be no extensions for late orders as the company will only do one run of T-Shirts. You will be able to order T-shirts from School Cash Online as of Tuesday, March 5, 2019. Again, the deadline for submitting orders in March 22nd. If you have any questions about the t-shirts, please feel free to contact one of the below teachers at school any time. Grad t-shirts are being worked on behind the scenes. Once the teachers have samples for the students to try on for sizing, there will be a letter sent home with more information. They will be available for purchase via cash online. Grade 6 Grad Photos are taking place today (Tuesday, February 19, 2019). There are retakes on Wednesday, March 27th, 2019 as I realize some may not have been prepared and others were at handball. Wow! We are almost done term 1, report cards go home on February 13th. I am sending home some more tasks that your child has received a mark and/or feedback on. Please take a minute and review the tasks. Prior to returning the folder, please initial the assessments. Thank you. ​In Language we will be writing fractured fairy tales and focusing on determining the important ideas while reading. The students will create a detailed picture of their fractured fairy tale as part of a media literacy task, and the fairy tales will be presented in class. In Math we are continuing with Number Sense (how big numbers are in real life, proportional reasoning, estimating and comparing numbers etc) and measurement (perimeter and area). This is taught with the support of the Math Up program. Some of the lessons are on Hapara and you can ask your child to show you what they are learning in class. Please continue to follow me on twitter @JodieOHalloran. The lost & found is set out in front of the Learning Commons until Friday, December 21, 2018 at noon. After that it will be packed up for the holidays and donated to a local charity. Please ask your child to look through if they have misplaced anything. We will be building Gingerbread Houses on Monday, December 17th. This is being tied into our data management unit in math, and procedural writing in language. In Grade 6 Language we are now writing expository reports. Your child will be writing about the treaties with the Indigenous Peoples and the Government. In reading they are working on questioning as they read. Another strategy that good readers do. We will explore what we do with this strategy, and share what thick and thin questions we have. In Math, we have finished patterning and we are working on Numbers up to 1 000 000, and data management. ​You can help your child at home by finding meaningful ways to show 1 000 000. ie. The population of Ottawa is 1 000 000. 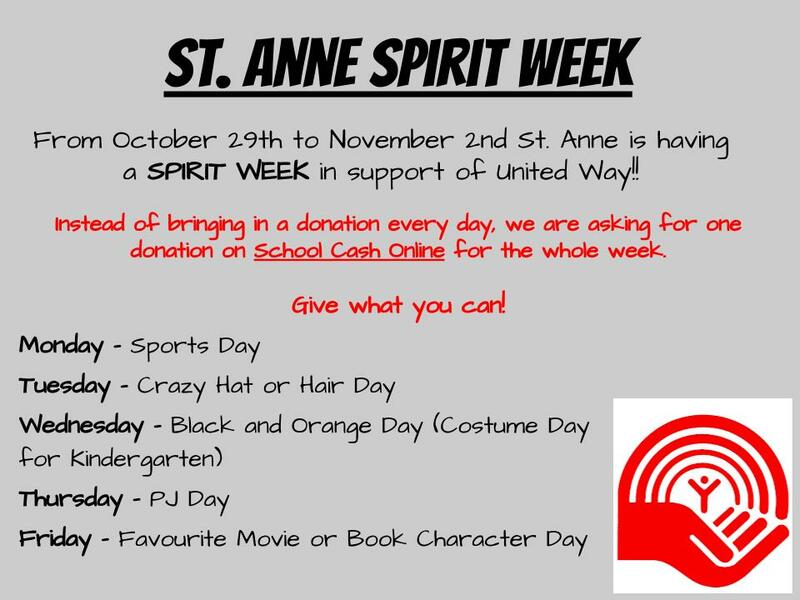 ​Next we will have spirit week to raise money for United Way. Any grade 6 students who would like to partake in the sacrament of confirmation needs to ensure that their family is registered with St. Patrick's parish and attends one of the parent meetings at the Church hall. (Thursday, October 11 or Wednesday October 17th). You must register and attend one of the sessions to begin the preparations for confirmation. Confirmation will be in the spring. Picture days will be October 23 and 24, 2018.The grades 3-6 will be October 23rd, and the k-grade 2 will be October 24th. Meet the Teacher Night will be Thursday, September 6, 2018. Thank to all of the parents who popped in last night during meet the teacher. If I missed you and you are a new family to me, I will reach out to you via a phone call over the next week. As well, if you have any questions please feel to call the school and leave me a message or write a note in your child’s agenda. Language: We have started with writing a letter to our future selves. 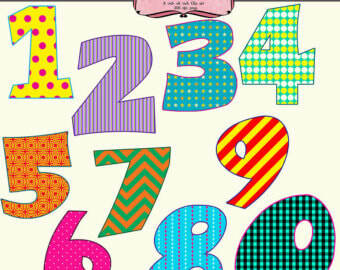 It is a chance for your child to predict and recount what the imagine the school year will be about (i.e. clubs, sport teams, trips, activities, academic successes, and any other goals). The students will have examples in the class to achieve a level 3 based on the Ontario curriculum, as well as a chance to self assess, receive some peer feedback and teacher conference. Next, we will work on predictions and making connections while we read. In Math, we are working on Geometry (Location and Movement). I have created a hapara site that your child can access in their student portal (the button below will bring you directly to their portal). It includes the goals and expectations for the unit as well as some games connected directly to what is being taught in class. We are using the Math Up site this year to support your child's learning in Mathematics.